Choosing to take full responsibility for your own experience leads to empowerment and spiritual mastery. When you seek movement in your experience, operate from a state of empowerment rather than one of victim-hood. If a situation has created challenges in your experience, recognize that it has a valid purpose in your spiritual growth. Initially, it may be challenging to know the right steps to take: is it appropriate to leave it, change it or accept it? Begin by attempting to create change using the tools you have cultivated thus far on your journey. Communication, compassion, conscious action and intention can shift the energy dramatically in many cases. If you have tried these to no avail, consider if it’s in your highest good to step away and pivot into another direction on your life path. 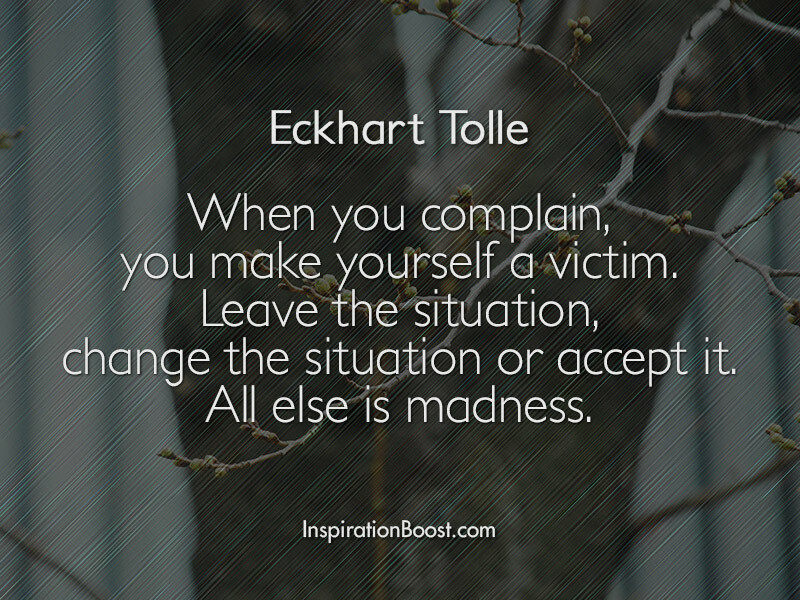 If you are stuck in the situation, then you must accept it and change your perspective. No matter which approach you deem appropriate, each brings unique lessons, insight and energy that will ultimately assist in your awakening. Everything works toward your highest good. Everything.